​Both the string and cables should be waxed well and regularly using high quality wax. The waxing process should be done often based on manufacturer`s instructions which can be obtained from user’s manual. This is because frequency of waxing depends on kind of crossbow i.e. recurve or compound. It also depends on material used to make the crossbow. Waxing on the crossbow string and cables should be done along their lengths excluding the right part which is above the rail of the arrow. This is to avoid the trigger box being gummy. Use your fingers to rub the applied wax to generate enough heat to melt it so that it can stick. ​The rail need to be lubricated in order to reduce friction thus providing a smoother adhesion and increased accuracy. However using excess lubricant leads to wear of the rail and thus should be avoided. ​Apply an average of 2 to 3 drops of the lubricant at the middle of your rail. The number of drops will depend of kind of lubricant chosen. For it to spread on the whole surface of the rail, you may require to use your finger to stretch out the lubricant. ​Lubrication should be done only after wetting the crossbow and drying it. One should avoid just using any lubricant you come across such as Vaseline-like substances as they collect dust. The lubricant should be left for an approximate time of one hour. ​Only use the lubricants that are specified for rail lubrication. ​This is done by applying several drops of the lubricant on the trigger box. One may also need to look for the mounting bolts that are exposed and then lubricate them. This will ensure the bolts don’t get corroded or damaged following harsh weather conditions. 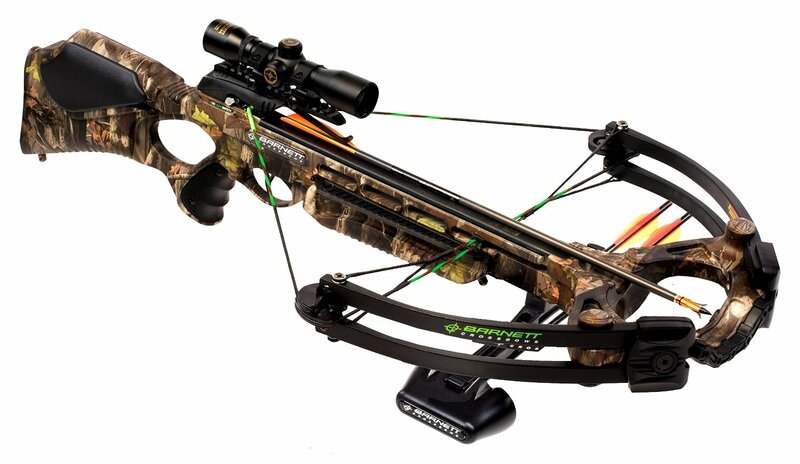 ​Where type of crossbow is compound, lubricate the wheels or the axles for their smooth operation. ​Before shooting, one should perform a thorough inspection of the weapon. ​This include making sure the bolts are tight and straight and no cracked limbs. The riser should be checked to ensure it isn`t cracked while ensuring there are no obstruction on the rail. Tighten the screws and ensure free movement of cams. ​It is always advisable to keep an eye on the condition of the string as often as possible. This is because it would be risky to fire arrows with your string worn. In case of indications of wear or tear of your string, the best thing would be replacing it with a new string. ​One can also consider changing the string at regular intervals implying one does not necessarily have to wait to spot signs of tear or wear to make this move. However, on average a standard string is expected to support firing of 200 to 100 arrows. Ensure also that you only use the recommended string. 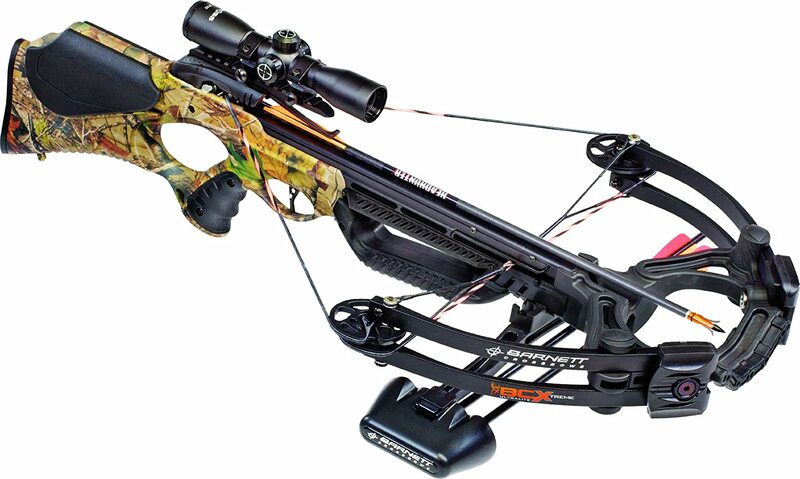 ​You should always carry a backup string anytime you are going out with your crossbow in the field. ​This should only be done when you notice obstruction of your vision when practising your shooting. Obstruction can be a result of dirt or fingerprints on the lens. To do the cleaning one should use cleaning wipes meant for lens or a clean piece of cloth. This should be done gently to avoid breaking the lens. ​After use, one should ensure that he or she gets rid of any dust or dirt that might be present in the rail, groove, nook, or even in the connection points of the crossbow. This should also be done before lubricating the parts that require lubrication. ​Approximately one should take 2 to 3 minutes to remove the dirt or dust. The cleaning is best done using compressed air. ​Before use of your crossbow always tighten all the bolts. Checking of the bolts should also be done after every 50 to 100 arrows fired to retighten them. Firing exerts a lot of stress to the bolts hence loosening them. This explains the need to be carrying a screw driver when going out in the field. ​Crossbow should be at all cost kept out of children`s reach. For this reason, a crossbow is required to be stored in a gun locker or in crossbow case if the former is not available. One should also avoid leaving the crossbow cocked for long duration. This is all for safety reasons. ​During transport, the crossbow should always be zipped in a bow case. 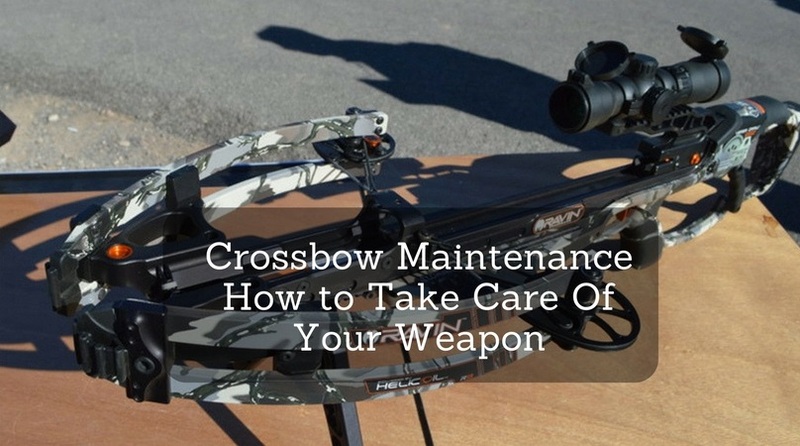 ​In summary proper crossbow maintenance involve proper storage, bolt tightening, lubrication and waxing of appropriate parts, cleaning and inspection of equipment before use. Failure to observe the above discussed maintenance measures, would lead to a lot of crossbow problems. ​​Common problems associated with poor maintenance are: crossbow losing power due damage of limbs or lack of lubrication of its parts; arrows not flying straight due to fletches damage or unwaxed flight track or frayed cables; and string jumping your arrow because of string or nock damage. ​Failure to observe those measures would also imply a short lifespan.